IAPT in association with National Board for Higher Mathematics (NBHM) announced the first ever Pre Regional Mathematics Olympiad PRMO as the first selection examination for the team to represent India in International Mathematics Olympiad. The Mathematical Olympiad Programme in India is organized by the Homi Bhabha Centre for Science Education (HBCSE) on behalf of the National Board for Higher Mathematics (NBHM) of the Department of Atomic Energy (DAE), Government of India. 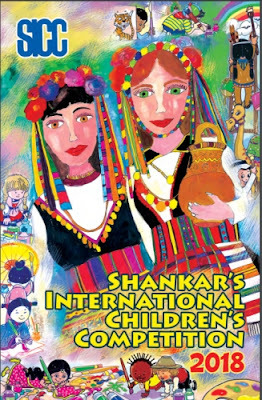 Apart from the International Mathematical Olympiad (IMO), in which India is participating since 1989, since 2015 India have also started participating in two more international Olympiad events: the Europen Girls’ Mathematical Olympiad (EGMO) and Asia Pacific Mathematics Olympiad (APMO). The process for selection of students for participation in the events have been merged, taking into account the requirements of the individual tests. The process for selection to IMO team involves, as in the past, the following steps. Step 1: Regional Mathematical Olympiad (RMO and pre-RMO). The RMO is a three hour written test with six problems. On the basis of the performance in RMO, up to 30 students from each region are selected for Stage 2 (INMO). 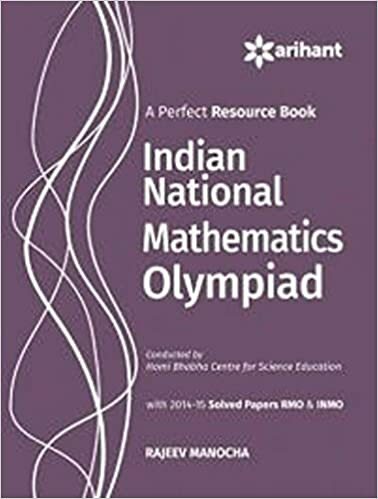 Step 2: Indian National Mathematical Olympiad (INMO). Only those students who are selected in RMO 2017 and those who have received an INMO certificate of merit in 2017 are eligible to appear for the INMO provided they are in class XI or below. Step 3: International Mathematical Olympiad Training Camp (IMOTC). The INMO awardees and the girls selected from INMO for training are invited to a month long training camp in April-May each year at the Homi Bhabha Centre for Science Education (HBCSE), Mumbai. Besides, the INMO awardees from the previous years and the selected girl students of the previous years who are eligible for IMO-2018/EGMO-2018 and have gone through postal tuition throughout the year satisfactorily are invited to the training camp as senior students. An INMO awardee who has completed one year of 12th standard will not be eligible for the next year's IMOTC. Step 4: Pre-Departure Training Camps. The selected team of six students goes through another round of training and orientation for about ten days prior to departure for IMO. A Pre-departure camp will also be arranged for girl students selected for participation, at a suitable time. In order to be eligible for the RMO it is mandatory that students qualify through this centrally administered PRMO. Eligibility: All Indian students who are born on or after August 1, 1999 and, in addition, are in Class XI or below are eligible to appear for the PRMO 2017. Candidates born on or after August 1, 1999 and are studying in Class 8, 9, 10, 11 or 12, are eligible to write PRMO 2018. The PRMO will be a machine-correctable test of 30 questions. Each question has an answer which is a number with one or two digits. Sample questions will be put up on the website for the aid of students. Schools can register as centres at the portal which will be open from May 20 to June 10. Any school with at least 20 registrations can register as a centre. However, the final list of approved centres will be issued by IAPT. Students who opt for a given school as centre may be re-assigned to another nearby centre. Students can register online by choosing one of the approved centres by June 30th for a fee of Rs. 200. Kendriya Vidyalaya Sangathan has made its schools available as centres free of cost; for KV students there is a provision to register with payment of a fee of Rs. 100. The RMO will be held in all the regions on Sunday, 7th October 2018 between 1.00 p.m. and 4.00 p.m. The top 300 students from each region will be eligible to write the Regional Mathematics Olympiad exam. 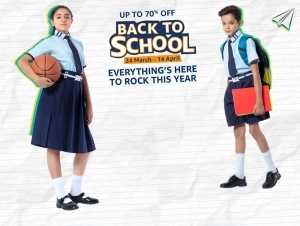 For the KV, CBSE, JNV schools which have a countrywide coverage, the number to be selected is upto 5 per cent of the number of registrations or 300. Based on the RMO exam, the final list of 30 top students plus the next 5 girl students will be sent by each regional co-ordinator to HBCSE by November 30. This should be done after completing re-evaluation (provision for which is mandatory). The last date for registration of centres is June 15, 2018. The last date of enrolment for students is June 30, 2018.